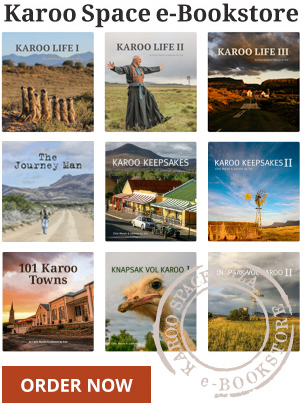 Outtakes and excerpts and backgrounders from our best-selling series of Karoo traveller’s companion books. Sophie Geerts from Saskatchewan, Canada, is a true Karoo fan. Do you prefer your Karoo books in beautiful print or as portable e-books? You can order both from us. Back to the first day when Karoo Keepsakes hit the market. Every old Karoo car has its own story. Rave reviews for Karoo Keepsakes II.